One person's "problem" is another person's "peek backstage!!" Not all backstage is interesting though. I don't think it will be that bad. I always wanted to go through the trash of BoardWalk guests. I hear people at the Grand Floridian literally throw out diamonds if they aren’t pretty enough. Gondolas are going to see backstage Epcot and some pretty poor sightlines. That was an accepted problem of the route. Simply pointing out that passengers are going to be coming in and travelling along a route with a sightline that is far lower than the images we have seen present. Honestly the old Magic Kingdom Skyway sightlines were terrible except for when you passed over 20k Leagues... otherwise it was a lot of unthemed dirty rooftops... And despite that it was still nice to do and had HUGE lines... This Gondola is an active form of transport, not really an attraction the way the Skyway was...So I would think the sightlines matter even less. 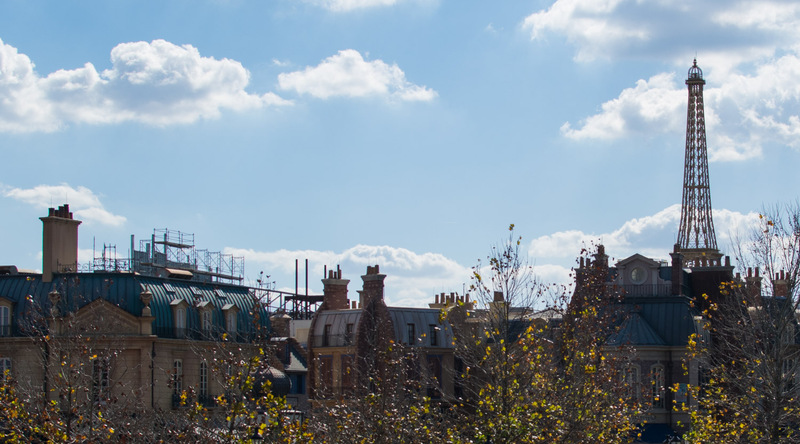 I was always under the assumption that Ratatouille got approved primarily so the skyliner wouldn’t expose the parking lot behind the France pavilion and would instead give guests a view of a beautiful brand new E ticket attraction. Also, guests fleeing a packed DHS by skyliner would have something to do on arrival at Epcot besides booking it to Future World to ride Test Track for the 367th time. And of course the obvious "EPCOT hasn't gotten a genuine new attraction since 2005." The vaunted Disneyland monorail has some pretty crappy sight lines as well... that really surprised me. Am I the only one here who actually enjoys seeing how things work behind the scenes? I enjoy seeing behind the scenes... I do. It's whether you're anticipating/expecting a 'show' or a backstage tour. I honestly think majority of guests will be engaged in conversation and not really looking around that much. You are facing inwards and towards each other. So backstage views shouldn’t matter. But this isn’t the Gondola thread. So about that Rat? We call it “Disney guts”. It’s not all pretty, but it’s all interesting. I agree! I rode the Skyliner as a nine-year-old in Disneyland many moons ago and enjoyed seeing the "guts" as much then as I do now. Far from ruining the illusion, it makes everything that much more impressive to me. I get that others feel differently, however. Or add coverings to the Rat Courtyard area. Perhaps? I wonder if they could just move it more towards the center of the building it's on now? And maybe build up the false rooflines a bit? I'm not a quantitative expert on forced perspective, but I wonder if there's a solution like that or whether such a move would necessitate redesigning the tower to re-proportion the forced perspective? The facade for Remy's peeking out over France on the left.